Easily the biggest sports scandal of recent times, the rise and fall of Lance Armstrong was bound to attract attention from the filmmaking community. There are currently three biopics on the disgraced cyclist in development, but first up is The Armstrong Lie. Directed by prolific documentarian Alex Gibney, the film examines both the how and the why of Armstrong’s contemptible actions. What’s it about? In 2009, Gibney was hired to direct a film chronicling Lance Armstrong’s return to cycling. After the doping scandal erupted and his subject was stripped of his seven Tour de France medals, the project was shelved and only re-opened after Armstrong’s confession. 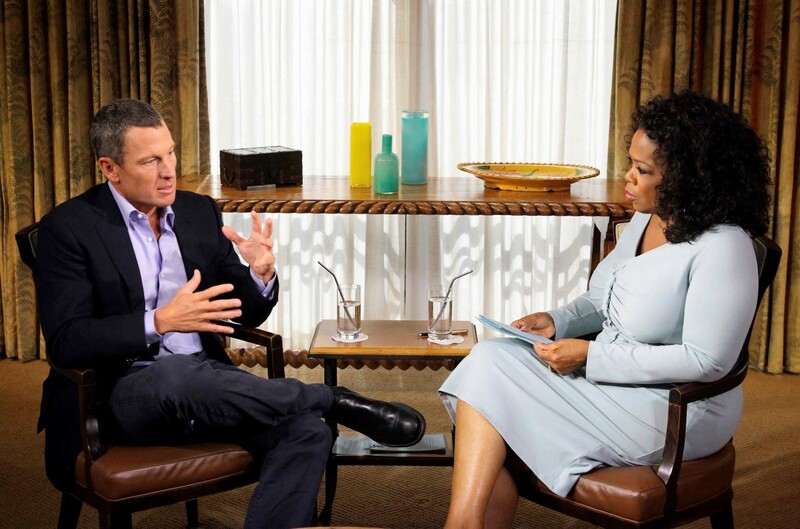 Beginning with the infamous Oprah Winfrey interview, The Armstrong Lie presents us with an intimate unravelling of the truth from Lance and other’s perspectives. Verdict: Even though our eyes have since been opened, The Armstrong Lie is a fresh and fascinating depiction of Armstrong’s fall from grace. With much of the documentary featuring footage focusing on the 2009 Tour de France, we get a unique behind-the-scenes look at Armstrong’s preparation in the lead-up to the event. It’s easy to see why there was a time when he was one to root for; a fiercely competitive athlete who beat cancer and returned to compete in one of the world’s toughest sports, it’s a story many wanted to believe. As Gibney fittingly states, “people loved the beautiful lie more than the ugly truth”. Unsurprisingly there is no shortage of talking heads eager to speak their minds. Gibney’s film does a magnificent job of illustrating the power that Armstrong wielded, with former teammates and journalists all granted an appropriate amount of screen time. This, combined with the well-explained science of doping and unearthed footage, help paint a complete and compelling picture of the history of drugs in cycling and how prevalent they are today. An interview with notorious Armstrong collaborator Dr. Michele Ferrari proves to be particularly enlightening, showing just how far the former champion would go to emerge victorious. Additionally, the fact that the movie was originally going to be a puff piece – Gibney has since revealed that the original 2009 picture was complete with a Matt Damon narration – gives it an interesting perspective. Throughout the film we can feel the director’s resentment at having been lied to by team Armstrong. Final Words: The money raised from Armstrong’s cancer charity Livestrong appears to have been skirted over, but otherwise The Armstrong Lie is as candid and comprehensive a documentary you’ll see on the disgraced cyclist. The Armstrong Lie is at the London Film Festival on 16 & 17 October 2013 and opens in UK cinemas on 31 January 2014. 2 Comments for "The Armstrong Lie Review"
Great review! This sounds like a fascintaing doc. Will watch.